Seal the end of the summer with our refreshing Daily Drink Specials for only $5! Come to Wei's Buffet Sunday February 4th for Super Bowl! also we have a Special TOWER BEER!!!!!! Chicken Wings, Dumplings, BBQ Wings, Beers and more! 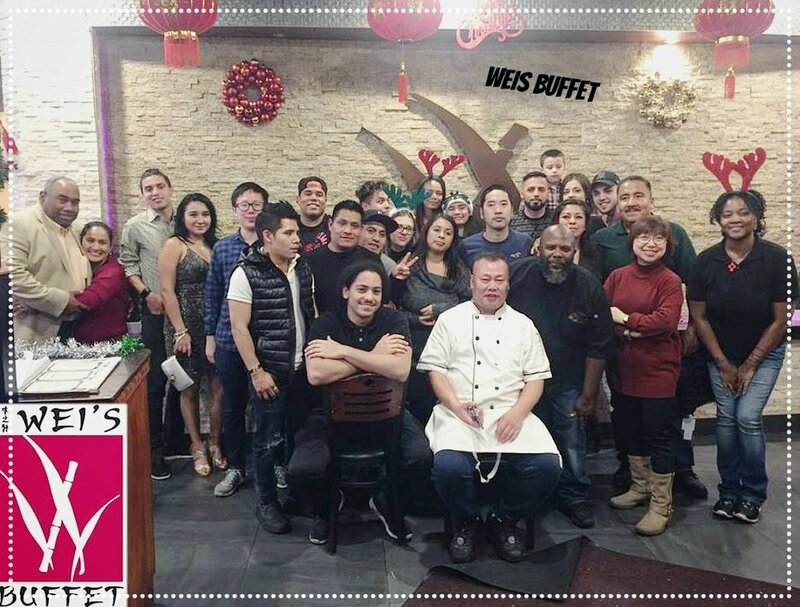 Catering available at Wei's Buffet, we have an exquisite combination of International and Chinese Cuisine, we also have homemade baked desserts, with the best of our extensive experience. All these ingredients are the perfect recipe for your unique experience. YO WILL WANT TO TRY THEM ALL ! One of the sushi catering dish. Happy NEW YEAR from Wei's crews. We are ready to serve you. We're bringing you the following dishes this fall and much more!